The one thing that can throw my bipolar management off most efficiently is a disturbed sleep pattern, caused by chemical imbalance, life situations, or irresponsibility. Most of the time, it’s my own irresponsibility. A disturbed sleep pattern often means difficulty falling asleep and an inception of hypomania and/or mixed states, causing more troubles falling asleep and staying asleep, and the spiral begins unless I get the sleep under control. Sleep medication hasn’t helped me much in the past. In fact, ambien made me sleep walk and hallucinate, and other classes of drugs didn’t seem to have an effect on me. However, what have helped are music, binaural beats, and isochronic tones. Ambient music is my number one choice for music to fall asleep to. Sometimes, it’s drone metal or other genres, such as trance and classical. It depends on what I want. One good source for a legitimately free, diverse selection of downloadable ambient music is Jamendo. I then add binaural beats and/or isochronic tones to my headphones. I choose ones designed to induce sleep or progressive relaxation ending on sleep wave frequencies. When my sleep is disturbed, the induced hypomania or mixed state causes me to be very sensitive to all stimuli, making it hard to clear my head and fall asleep. Yet it also amplifies effects of the beats and tones because I’m so sensitive. When I’m functioning normally, they don’t have as a pronounced effect. 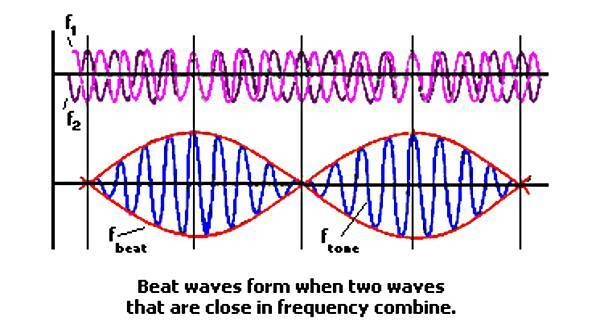 A binaural beat is basically two very similarly pitched frequencies being played simultaneously, one in one ear and one in the other ear. It has a very hypnotic effect on the listener. While listening in both ears, beats appear and have a fluctuating pattern, fast or slow depending on how close the two pitches are to each other. Listen in only one ear and it’s simply a sound pitch. Put both on, and it’s like listening in 3D. Higher frequencies are associated with stimulating effects, concentration, and meditation, while lower frequencies induce sleep and relaxation. There are an incredible variety of beats out there: search “binaural beats” on YouTube for some examples. Isochronic tones are simply one pitch of sound being played repeatedly quite rapidly. The pitch is played for a certain length, followed by an equal length of silence, over and over again. The sound is the same in both ears, and it also has a hypnotic effect on the brain. They can produce states of reduced anxiety, better focus, stress relief, meditation, concentration, and others. One does not need headphones while listening to isochronic tones. I’ve seen some places where binaural beats and isochronic tones are combined as well, sometimes even to music all at once, to produce certain effects. There are phone apps out there which allow one to pick ambient noises, music, tones, and beats, mix them together, and play them all at once. I use AmbiScience from Tesla Software on my iPod touch, specifically the AmbiScience 300 program, which is $2.99 on the AppStore. I understand some versions of AmbiScience are also available on Android. The 300 has many sleep and relaxation effects, both isochronic and binaural, along with an exclusive interval feature. This allows the user to program additional effects on, say, a 15 or 45 second timer. For example, I can add extra thunder during a rainstorm track, or bird sounds, electronic effects, and more. Otherwise, one can peruse the YouTube videos, find some you like, and use an internet YouTube video to mp3 converter to download the audio if desired. In any case, tones and beats have been powerful sleep aid tools for me, medication free! Let me know what you think! the “beats” are made from the original notes of sound. I used to be the marketing director for an alternative health clinic and we did something there called “self-mastery”. I use music, tones and beats nightly. Very cool 🙂 I’ve been using them more, lately. I should be using them nightly as well, because it facilitates my meditation and falling asleep.